NEW YORK (January 22, 2011) – Mike Green of the Washington Capitals, Patrick Kane of the Stanley Cup® Champion Chicago Blackhawks, Ryan Kesler of the Vancouver Canucks and Martin St. Louis of the Tampa Bay Lightning have been named Alternate Captains for the 2011 NHL All-Star Weekend in Raleigh, the National Hockey League Players’ Association (NHLPA) and the National Hockey League (NHL®) announced today. Green and Kesler join the team of Captain Eric Staal from the host Carolina Hurricanes while Kane and St. Louis become part of the team of Captain Nicklas Lidstrom from the Detroit Red Wings. The four Alternate Captains were selected by the NHL and the NHLPA, considering input provided by the NHL All-Stars. The Alternate Captains will help with the team selection process during the new NHL All-Star Player Fantasy Draft powered by Cisco on Jan. 28. These four All-Stars will help their Captains set their team rosters and lineups for the Honda NHL SuperSkills® on Jan. 29 and the 2011 NHL All-Star Game presented by Discover on Jan. 30. Green, a two-time member of the NHL’s end-of-season NHL First All-Star Team and a two-time Norris Trophy runner-up, has led NHL defensemen in goals for three years in a row. He has also been tops among NHL defensemen in points for the past two seasons and is one of only two active defensemen with a 70-point season in his career – the other being Lidstrom, the opposing Captain. Green this season ranks fourth in ice time per game among NHL defensemen. Kane, the first overall selection in the 2007 NHL Entry Draft, was voted a starter in the 2009 NHL All-Star Game in Montreal, and was a Rookie participant at the 2008 NHL All-Star Game in Atlanta. After capturing the Calder Trophy as the NHL’s top rookie in 2008, Kane scored the Stanley Cup-clinching goal for the Blackhawks last season in overtime of Game 6 of the 2010 Stanley Cup Final. His 35 points (13 goals, 22 assists) in just 38 games played this season ranks only behind fellow NHL All-Stars Patrick Sharp (44) and Jonathan Toews (37) for tops on the Blackhawks. Kesler, a first-time NHL All-Star from Livonia, Michigan, is in his seventh season in the NHL, all with the Canucks. A finalist for the Frank Selke Trophy for the best defensive forward last season, Kesler this year has increased his goal scoring (25), tying him for fourth in the NHL and just one goal of tying his career high set in 2008-09. He is in his third season as an Alternate Captain for the Canucks. St. Louis has been a part of every NHL All-Star Game since 2003. The 2010 Lady Byng Trophy winner, St. Louis also won the Hart Trophy, Art Ross Trophy, Lester B. Pearson Award (now the Ted Lindsay Award) and the Stanley Cup in 2004. Now in his fourth season as an Alternate Captain for the Lightning, St. Louis is second in the NHL this season with 39 assists and fourth in the NHL with 58 points. The Captain and Alternate Captains for Team Staal and Team Lidstrom intentionally consist of two forwards and one defenseman, ensuring each team enters the Fantasy Draft with identical rosters. Team Staal will wear the white Reebok NHL All-Star jerseys, helmets and socks, with red trim throughout and red gloves and pants. Team Lidstrom will wear the dark blue jerseys with royal blue trim, navy blue helmets, gloves and pants and navy blue socks. The 2011 NHL All-Star Game presented by Discover will mark the first time Carolina has hosted NHL All-Star activities. The excitement begins on Friday, Jan. 28 with the NHL All-Star Player Fantasy Draft powered by Cisco and televised live nationwide on TSN and RDS in Canada and VERSUS in the U.S. at 8 p.m. ET from NHL Fan Fair™ at the Raleigh Convention Center. On Saturday, Jan. 29, the players will take the ice in the Honda NHL SuperSkills® at the RBC Center. The League’s mid-season spectacular concludes with the 58th NHL All-Star Game presented by Discover at the RBC Center on Sunday, Jan. 30. Live television coverage of both nights will be provided by VERSUS in the U.S. and CBC and RDS in Canada, with the Honda NHL SuperSkills at 7 p.m. ET on Saturday and the 2011 NHL All-Star Game presented by Discover at 4 p.m. ET on Sunday. Fans in Raleigh are encouraged to take part in the festivities at NHL Fan Fair™, a three-day fan festival at the Raleigh Convention Center, January 28-30. A coin toss will decide first pick with Staal and Lidstrom, joined by their alternate captains, alternately drafting the 36 remaining All-Stars through 18 rounds. Each team will consist of three goalies, six defensemen and 12 forwards total. 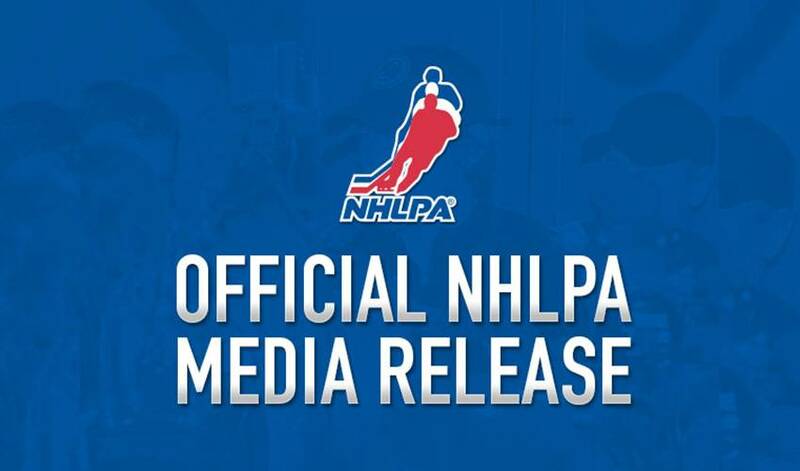 To ensure that the final draft picks are true selections and not simply predetermined due to position requirements, each team’s three goalies must be picked by the end of Round 10 and each team’s six defensemen must be picked by the conclusion of Round 15. NHL, the NHL Shield, Stanley Cup and NHL SuperSkills are registered trademarks and the NHL All-Star Game logo, NHL Fan Fair and NHL Breakaway Challenge are trademarks of the National Hockey League. All Rights Reserved.